Despite his huge success in the media and being one of the most famous Yoruba musicians of our time, Ayefele says an accident is not a good thing and he still feels pains till date. Ayefele who own various houses in Ibadan, and also an Event centre and Fresh FM (one of the best radio stations in Ibadan) says he is still full of thanks to God despite all. Speaking with Sunday Scoop, the multi-millionaire also recalled how doctors had told his family members he won't be able to perform sexually again and the miracle that happened right after that at the hospital. But even in the midst of the trouble, he never reasoned that his girlfriend, who later became his wife, would forsake him. He stressed that he had stopped bothering himself about people who still believe the accident might have rendered him impotent even though he confessed that in the past, such things bothered him. He recalled, “I can still remember my response to a journalist who wanted to be sure I could impregnate a woman. I told him to bring his sister if he wanted a confirmation. It used to be embarrassing when people questioned my sexual ability. 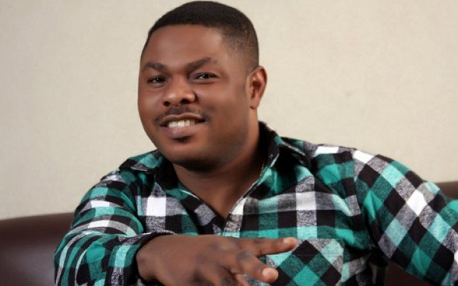 20 years after, Ayefele still feels pains and said he has decided to stop taking pills because he fears that it may affect his kidney or liver. He explained further, “I am still feeling pains; I am always in pain every day. Pills cannot even stop the pains and I am conscious of what I take in, but I thank God I have been able to cope. I give thanks to God for sparing my life. Recalling the circumstances that confined him to the wheelchair, he said, “I was on my way to Abeokuta, but I lost control of the car because it rained heavily that day. The car fell into a deep pit. I was taken to a nearby hospital, but they couldn’t handle my case because I was vomiting blood. I was taken to another hospital where it was discovered that I had a spinal cord injury.